When spouses with young children divorce, it is not unusual for them to live relatively near to each other. After all, despite divorce, many parents will continue to work for the same employers, continue to move in the same social circles, and keep their children in the same schools. However, as time moves on, an occasion may arise on which one or the other parent wants to make a more distant move—to another town or even to another state. If this happens, it will necessarily affect the ability of the other parent to maintain their relationship with the child. If you are confronting a child relocation issue, whether as the relocating parent or as the parent staying behind, the San Diego child relocation lawyers at Doppelt and Forney, APLC, can assist you. Our child custody attorneys have helped many clients with these potentially complicated matters. Divorced parents may move for many reasons: a job change or transfer, remarriage, moving closer to family, seeking a new lifestyle or a new beginning, and so forth. However, legally, the move is not just a matter of simple logistics. In any case in which parents share custody or have visitation rights, relocation will generally require some form of court intervention. Courts cannot prevent any person from relocating. However, when the non-relocating parent opposes the relocation of the child, the courts may step in to revisit the issue of custody and visitation. The main focus of the court will be the same as in any child custody case: what is in the best interests of the child? Our child relocation attorneys can advise San Diego residents on how a court is likely to view a particular relocation proposal. The amount of time that the child will spend with (and away from) each parent following the relocation. If the parents cannot reach an accord, a court will weigh the factors listed above to make a determination as to whether and how to modify any existing custody order, up to and including awarding sole custody to the other parent. The standard the Court will use for the move away, if pre-judgment, is best interests, which was detailed above for many factors. For a post-judgment move away, the primary physical custodian has a presumptive right to move absent detriment to the child or children or other facts which the Court can consider in a move away request. These cases can require a 730 evaluation by an expert for either best interests or detriment or other factors under California law. A move away brief template is available for your review on our website. When a proposed move by a custodial parent will result in separating a child from the other parent by a significant distance, child relocation will almost always give rise to a dispute between the parents. If you are dealing with a child relocation issue and need advice or legal representation, contact the experienced San Diego child relocation attorneys at Doppelt and Forney, APLC. 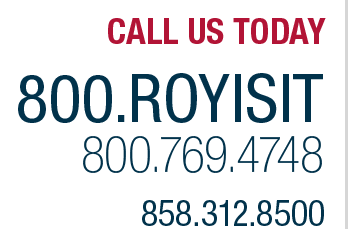 Call us toll-free at 800.769.4748, call us locally at 619.303.8500, or use our online form to set up a free consultation. We also represent people who need a divorce lawyer in cities such as Coronado, Del Mar, La Jolla, Oceanside, Escondido, Rancho Santa Fe, and Valley Center.